At the Macomb County Jail and Gateway To Glory aftercare program, we find ourselves involved in various forms of ministry from Angel Tree, book cart, one on one, Christmas and Easter Bags for the inmates and staff, etc. But, we know what has to be central - without wavering and without compromise - that we will give ourselves continually to prayer and to the ministry of God’s word. This ministry was birthed out of prayer. One amazing thing that comes to mind that shows the accuracy of that statement is the time my wife, Robin, was looking through some of the old Macomb County Jail Ministry Board meeting minutes. She discovered that the Board had been praying for an aftercare program and, lo and behold, 15 years later the Gateway To Glory aftercare program took on all the responsibilities of the Macomb County Jail Ministry! Every second Monday of the month at 6:30pm, the Chaplain’s office holds a prayer meeting in the Training Room at the Macomb County Jail. The focus is to bathe the jail, inmates, inmates’ families, staff and volunteers of the jail in prayer. Regarding the “ministry of the word”, we believe the word of God to be more than just a text, it is truly a living document. The Bible is the written, spoken and living word of God. We know that our God is omnipotent, omniscient, and omnipresent and so is His word. The Holy Spirit says he will bring all things [His word] to our remembrance, because He is not only multi-dimensional, but He transcends time. He also literally implants His word in us. James 1:21 says, “Therefore lay aside all filthiness and overflow of wickedness, and receive with meekness the implanted word, which is able to save your souls.” We know the Word (Jesus) is the only one that can pierce and change hearts and lives, and we see this first hand at the Macomb County Jail through the tears of repentance and changed countenances of those ministered to. The aftercare residents were treated to a New Year’s Eve party by one of the Board of Directors. This was a fun filled, safe alternative to what is “traditionally” a well-known drinking or partying night. It was a great night, with great food and fantastic fellowship…not to mention good natured football rivalry! The Jail Ministry continues to preach and teach the word of God to those who are hurting in the jail. The administrative staff at the jail is also ministering to the families of those incarcerated through the phone calls we receive. There is liberty in the name of Jesus and as we continue to boldly proclaim His name, souls are set free to worship Him, the Prince of Peace! 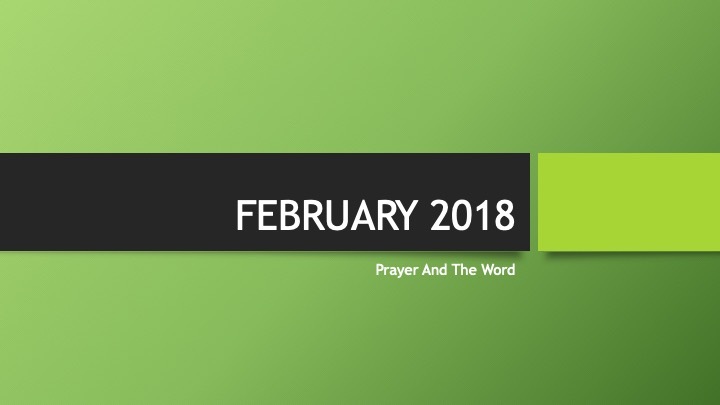 To all our residents, supporters, donors, volunteers, prayer warriors, Board of Directors and all who are a part of this organization called Gateway To Glory, we vow to give ourselves continually to prayer and to the ministry of the word. Why? Because it’s the only thing on planet Earth that literally transforms hearts, minds and lives. Older PostJust Rewards and Big Blessings – Merry Christmas!